What are key holding services? In its simplest form, key holding is the secure retention of keys for a client. Providing a locked, independent location for a set of your keys means that no matter what happens to your main set of keys or how far the registered key holders have travelled from the site, you can still gain access. Key holding services are useful to a variety of different businesses and individuals. 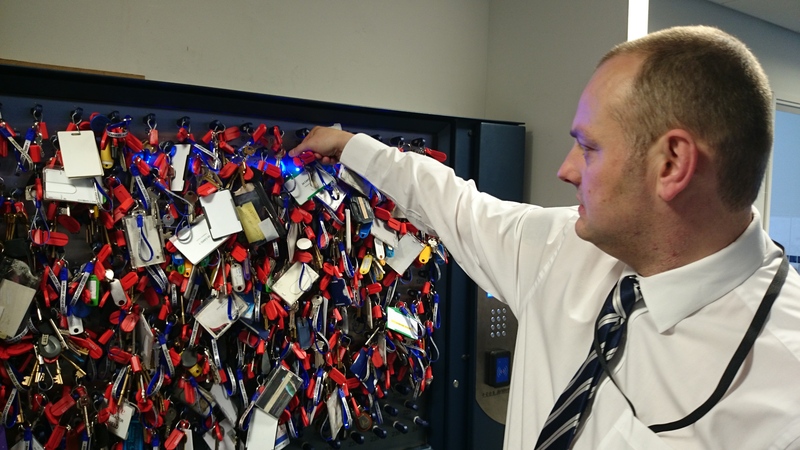 To ensure your keys are secure, Shield Security uses a high-tech ‘Keywatcher’ management system. Dispensing with handwritten log sheets and removing the margin for human error, the system requires individual user codes to access unmarked keys. An electronic log is kept of which keys were accessed, by who and for how long – this is produced automatically by the system and is not able to be manually edited. As Shield Security offers a complete security service, key holding clients can benefit from a range of add-on key holding services. These include CCTV remote monitoring, emergency response to site incidents or alarm activations, mobile security patrols and unlocking and securing premises as and when required. CCTV remote monitoringEmergency responseMobile security patrolsUnlocking and securing premisesFor more information on any of our services or to book a free, no obligation, security evaluation, contact Shield today!